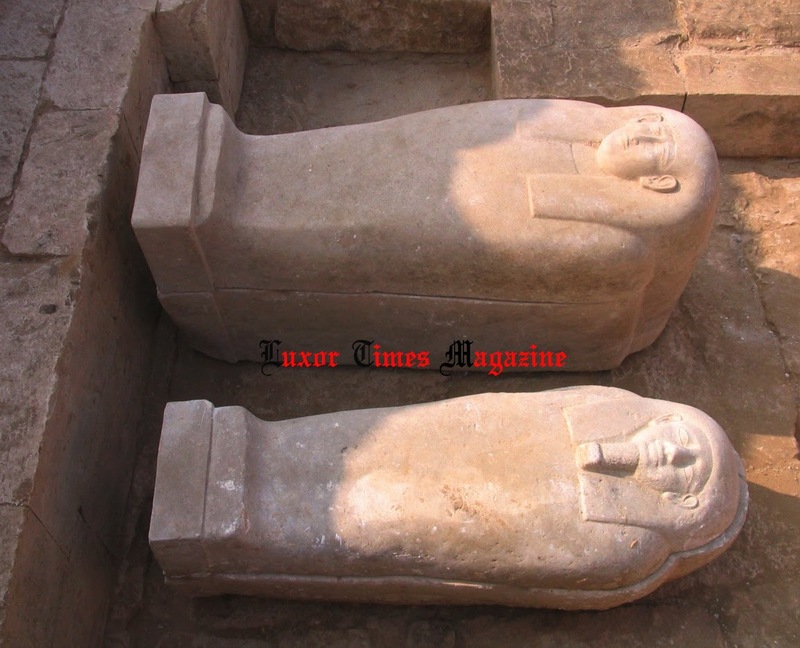 Dr. Mohamed Ibrahim, Minister of Antiquities, announced the discovery of two 26th Dynasty tombs (663 B.C- 525 B.C) in Al Bahnsa, Minia governorate in middle Egypt. The site of Al Bahnsa is the location of the ancient Egyptian town of Pr-Medjet which was developed to Graeco Roman city of Oxyrhynchus. 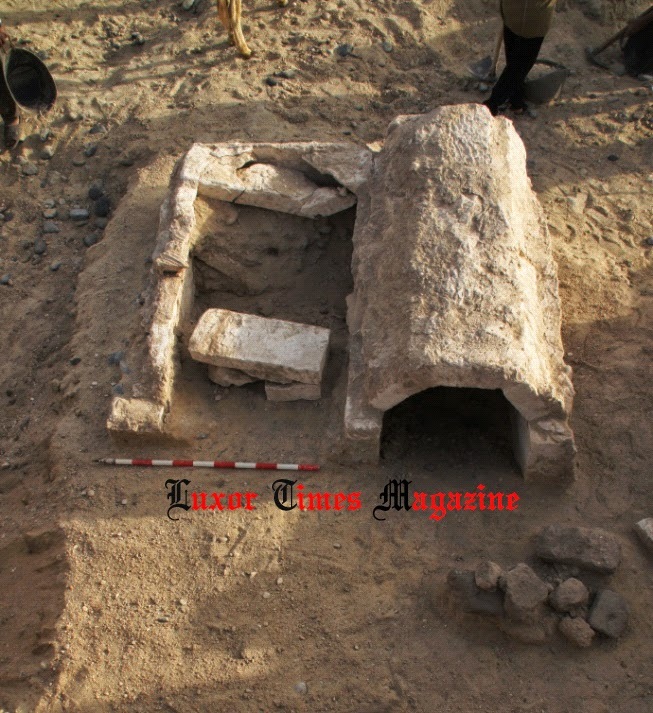 The discovery by the Spanish team works in cooperation with Egyptian team from the ministry of antiquities. One of the tombs belongs to a scribe. 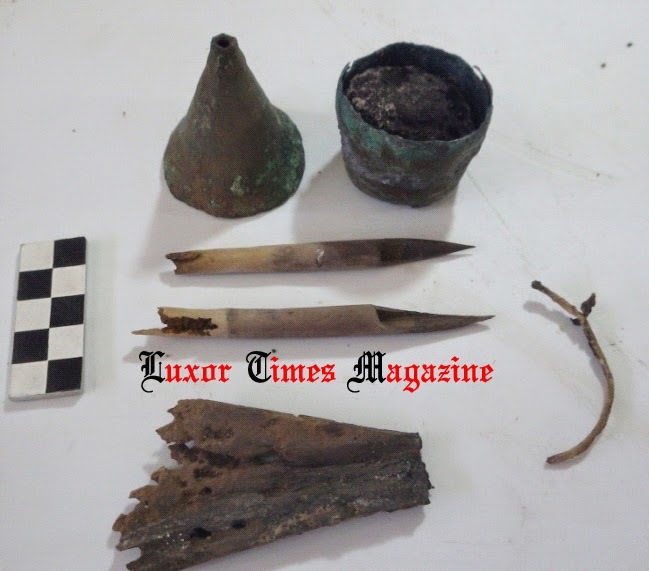 Bronze inkwell and two small bamboo pens were found next to his mummy which was found in good condition. Thousands of fishes were found in the scribe tomb, some of them are mummified. Also the top of a canopic jar was found in the tomb. The second tomb belongs to a priest who was the head of a family many of its members were priests in the Osireion which was discovered few years ago about 2 KM to the west of the tomb. 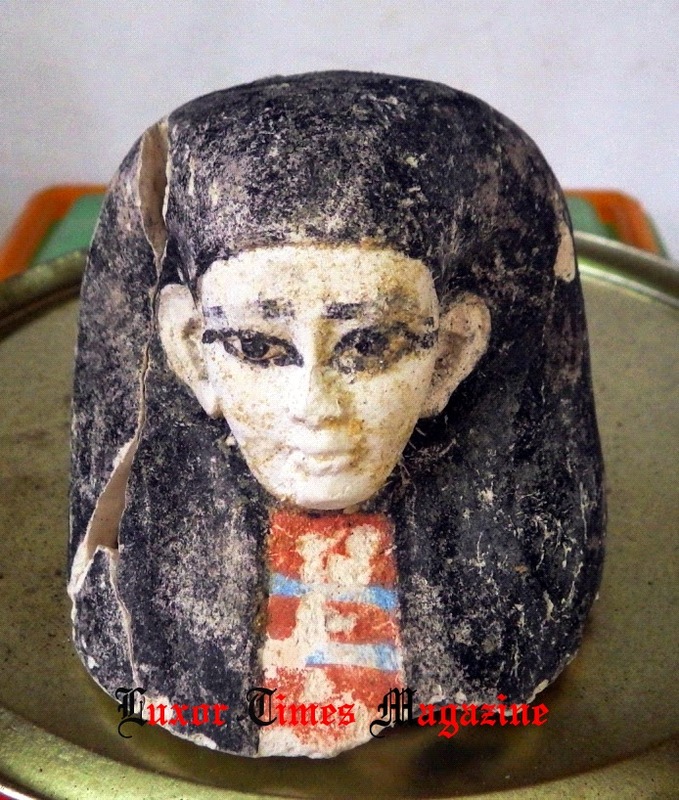 Many large stone sarcophagi were found, some are broken and the rest is in good condition and bears hieroglyphic inscriptions, some alabaster canopic jars were also found inside the sarcophagus. 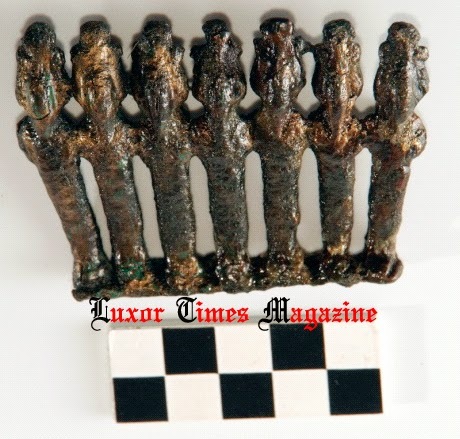 10s of bronze Osireion statues and bronze coins dated back to 26th Dynasty were also found in the tomb.